Raw multivitamin supplements like this one provide you with vitamins, minerals, enzymes and probiotics, and antioxidants through actual food ingredients, as opposed to synthetic ingredients created in a lab that behave like their natural counterparts when eaten. While some people will claim that synthetic vitamins are worthless or even dangerous, these claims aren’t supported by scientific literature. There are a couple of decades of research proving otherwise—synthetics do work, and no known health risks exist. That said, there’s evidence that the body can better absorb vitamins and minerals when they’re gotten from whole food sources due to substances that synthetics lack known as “co-factors.” These co-factors, like bioflavonoids found in natural sources of vitamin C, help the body metabolize and use the nutrients. 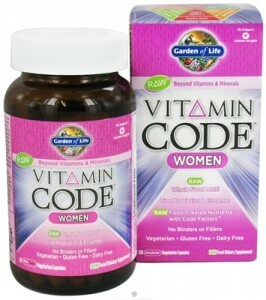 I’ve been using the men’s Vitamin Code for several months now and like it. If you want to give raw vitamins a try, give this a go. Garden of Life has a particularly good reputation in the bodybuilding community, thanks to various independent research done that has confirmed the potency and efficacy of their products.